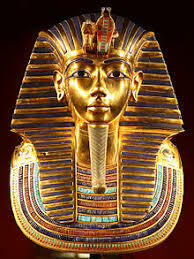 Tutankhamun, or better known as King Tut, is an 18th dynasty pharaoh who inherited the throne at a young age. 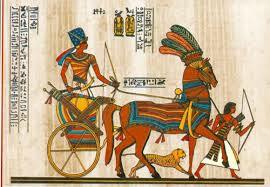 His reign was short-lived and upon his death he quickly faded into the sands of Egypt. Once forgotten, King Tut now remains one of Egypt’s grandest icons. 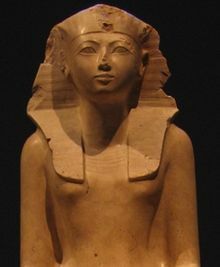 Hatshepsut, also spelled Hatchepsut, female king of Egypt (reigned in her own right c. 1473–58 bce) who attained unprecedented power for a woman, adopting the full titles and regalia of a pharaoh. 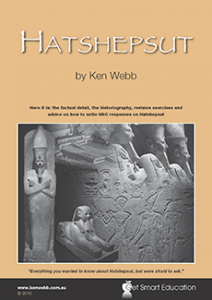 Hatshepsut and Tuthmosis: a royal feud? 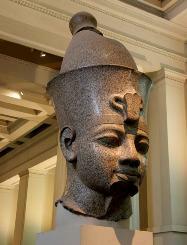 Amenhotep III, also called Amenophis III, king of ancient Egypt (reigned 1390–53 bce) in a period of peaceful prosperity, who devoted himself to expanding diplomatic contacts and to extensive building in Egypt and Nubia. 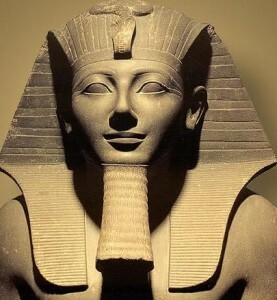 Ramses II, Ramses also spelled Ramesses or Rameses, byname Ramses the Great, (flourished 13th century bce), third king of the 19th dynasty (1292–1190 bce) of ancient Egypt, whose reign (1279–13 bce) was the second longest in Egyptian history.